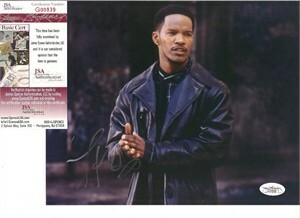 8x10 horizontal portrait photo autographed in silver marker by Oscar winning actor, comedian and musician Jamie Foxx. 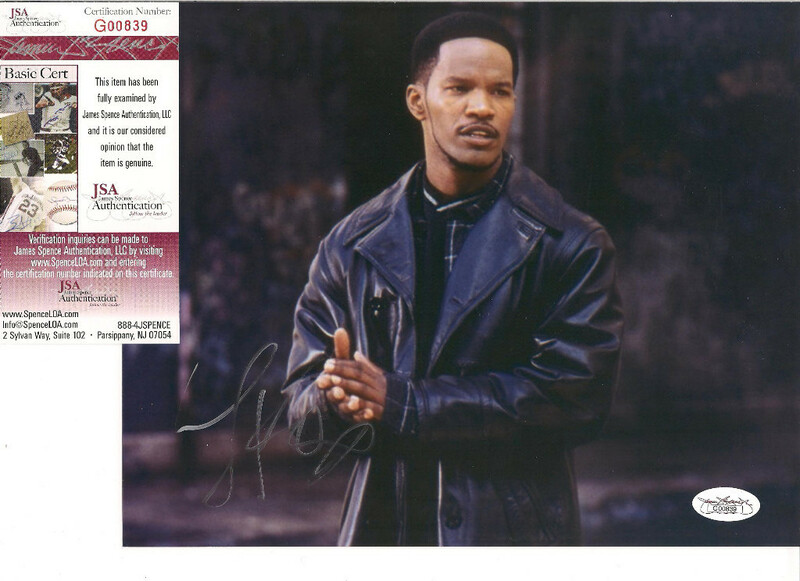 Authenticated by JSA with their matching numbered stickers on the photo and certificate of authenticity. ONLY ONE AVAILABLE FOR SALE.